Beauty and terror await beyond the veil in this classic Christian fantasy. The Council for Exploration Into Worlds Unseen believed there was more to reality than the Empire had taught them-but when they came a little too close to the truth, tragedy ended their work, leaving the terrifying and beautiful world behind their own still hidden. Forty years later, one of the last Council members entrusts an ancient relic to the orphaned young woman Maggie Sheffield: a scroll that reveals the truth at last. Along with Nicolas Fisher, a Gypsy who hears things no one else can, Maggie sets out on a journey across the Seventh World to deliver the scroll to those who can use it. But the price of truth may be too high: for Maggie and Nicolas are tearing at the Veil between the seen and the unseen, between good and evil, between forgotten past and treacherous future. Monstrous forces are already on their trail. And when the Veil grows thin enough, it's anyone's guess what may come through. WORLDS UNSEEN is the first book in The Seventh World Trilogy, a Christian fantasy adventure with hints of steampunk and depths of spiritual truth. If you love page-turning action, memorable characters, and inspirational fiction that confronts darkness, reveals breathtaking beauty, and moves your heart to connect more deeply with God, this series is for you. Worlds Unseen by Rachel Starr Thomson was published by Little Dozen Press in November 2007. 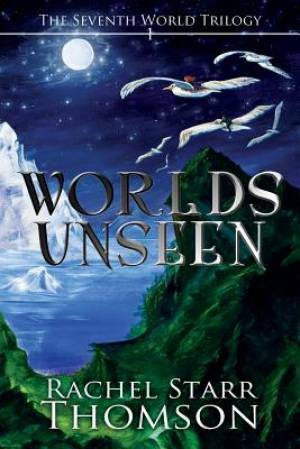 The ISBN for Worlds Unseen is 9780973959123. Be the first to review Worlds Unseen! Got a question? No problem! Just click here to ask us about Worlds Unseen.